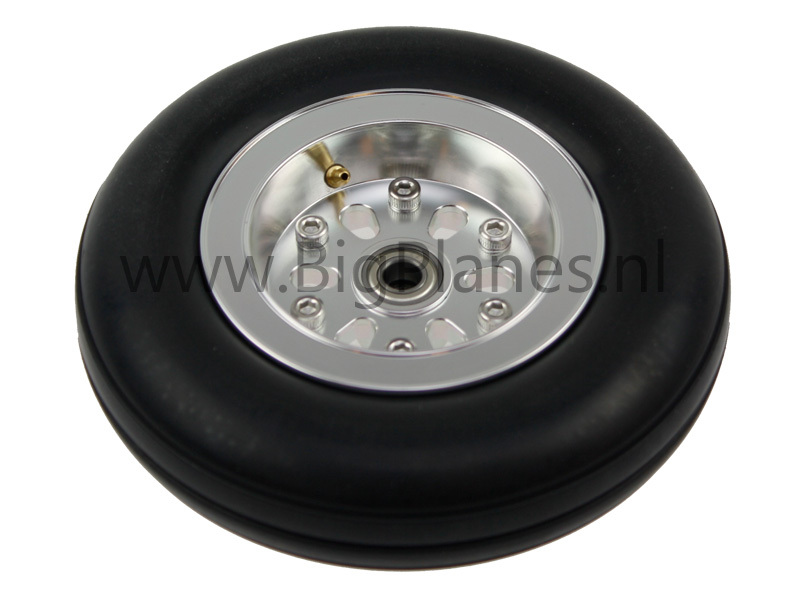 Air inflatable semi scale wheel with aluminum hub and double ball bearings. Real tire valve to pump up. 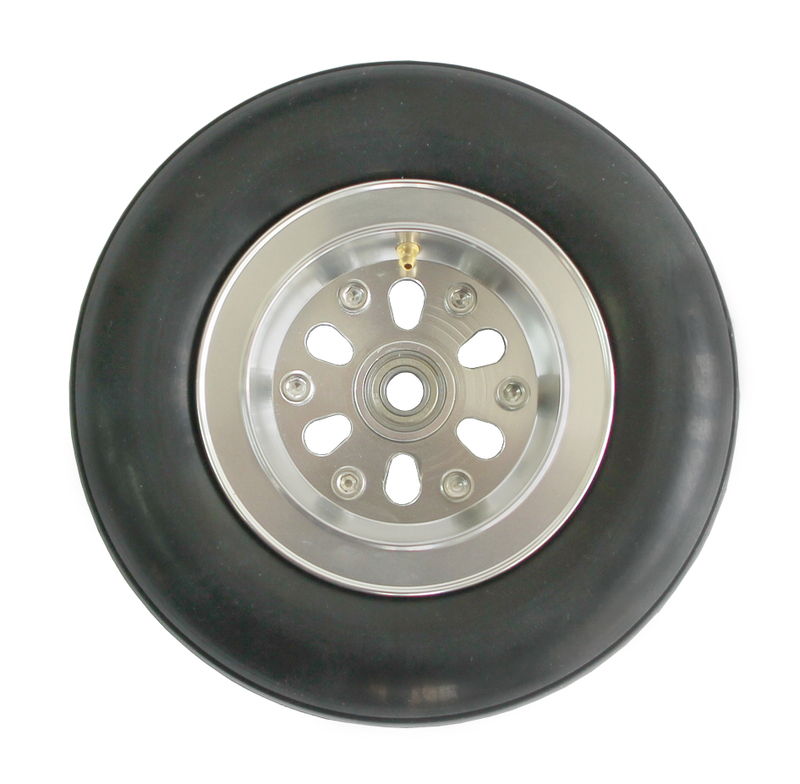 Suitable for 5 and 6mm axle. Contains 6->5mm brass bush adapter.